Get The Golden Ticket on The Official Matchbox Twenty Mobile App To Win Big! Want to win big with Matchbox Twenty? It's as easy as 1, 2, 3! 1. 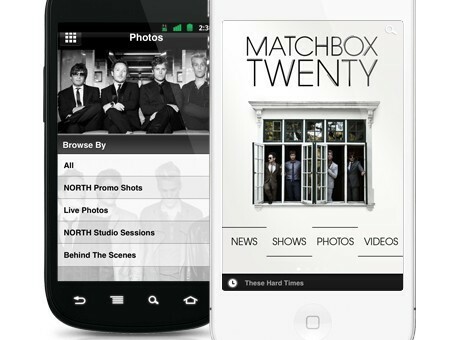 Download the Matchbox Twenty official mobile app. 2. Open it up! Share content, interact with other fans, add your upcoming shows to your events, and more. 3. Interact enough within the app, and you'll be on your way to a Golden Ticket to be eligible for cool prizes like autographed CDs, merch, exclusive memorabilia and more! Download the app here to get started.